Rock out and sing with Hilary Duff! 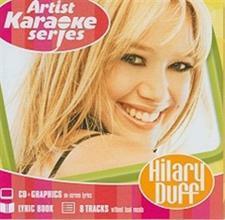 First listen to the 8 ORIGINAL Hilary Duff songs, sung by Hilary herself! Then YOU sing the songs to the original instrumental versions! Perfect for fans and vocalists alike! Includes lyric book.